This replacement power window regulator motor pair is just what you need to get your Toyota in good shape again! This Toyota car window regulator makes a great replacement and has substantial cost savings over a dealer unit. Disconnect the window regulator harness. Remove the window from the regulator using a Phillips screwdriver to remove the screws. Tape the window up and secure out of the way. Remove the six bolts mounting the window regulator. Carefully finesse the regulator out of the door. Replace the six bolts and lock nuts and tighten. Plug in the wiring harness. Carefully un-tape the window and screw the window into the regulator. Test the regulator before reassembling the door panel. 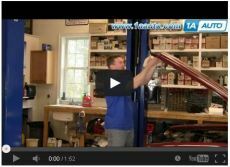 See our other videos for more detailed door panel reassembly instructions. Parts were exact make and model, but one side of the pieces that were suppose to be screwed to the window werent long enough. 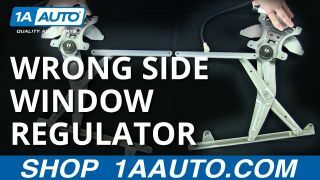 Neither window regulators were able to be used, ended up having to spend more more to buy regulators from the repair shop.